They don't make anything work with 22 year old trucks now days. Lol. Just measured my door sill height, 26" off the ground. Yeah, I understand. I may still do something to prevent rust on the steel to steel connections on this one. Mine are stainless big difference in price. I've already replaced the plastic step pad on top. Nice that you can replace them. I spent hours trying to find a decent wheel to wheel stainless that would fit this truck. I couldn't find anything that I liked other than just a straight rail. I figured you did. Those you have look nice. Powder coating will last a good while. And they can always be redone for pretty reasonable. Around here anyway. I just got back from towing the 1500 home from the dealer, in a blizzard. We checked it over briefly, isolated the battery after starting it; it still randomly died after driving it a bit. So, when the weather clears some I'll see what I can do to get it going. Rack-it is way behind on their orders. 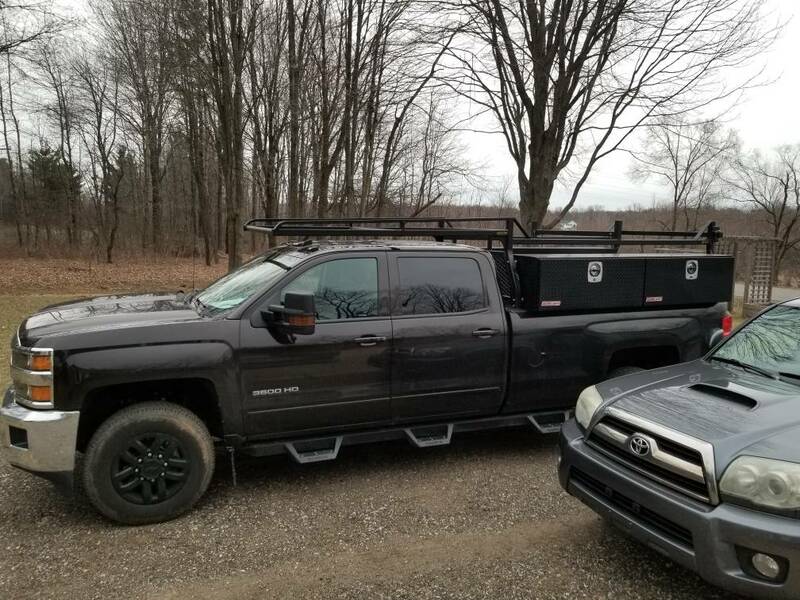 Just contacted them today for an update and they are about 2 weeks behind; two more weeks until I get this truck fully functional. That is a drag being I've been stuffing tools in the back seat. It's been about 5 weeks since order. So, I've filled the gas tank about 4 times since purchase. The first three times the tank overfilled and gas ran down the side of the truck. I got pissed after the third time and took it in this week. Turns out the tank isn't burping properly and they need to replace it. They gave me a 2020, 1500 as a loaner. However, the new tank won't be in until Friday, so I got my truck back and will burn down the gas so they don't need to pump 30 gallons out. Hopefully next week they can swap it out. 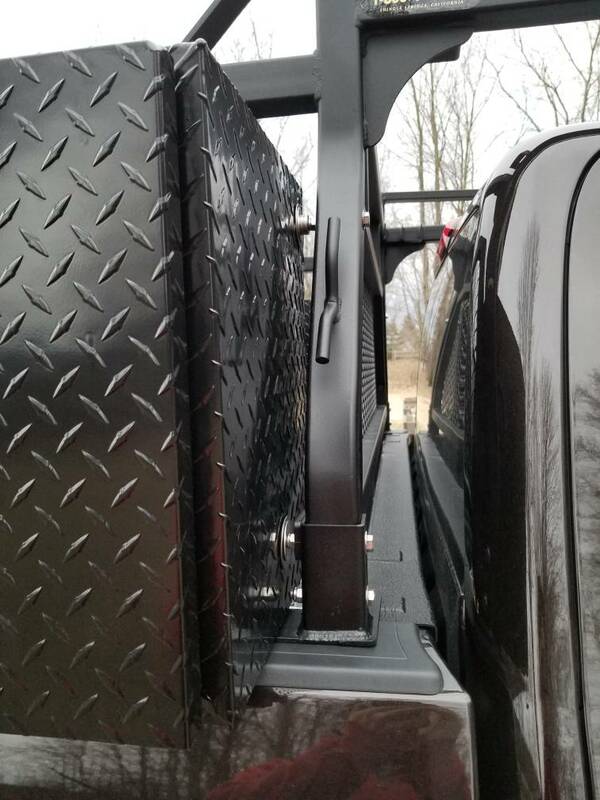 I am getting tired of cramming small tools in the cab...need to get this rack and my boxes installed. 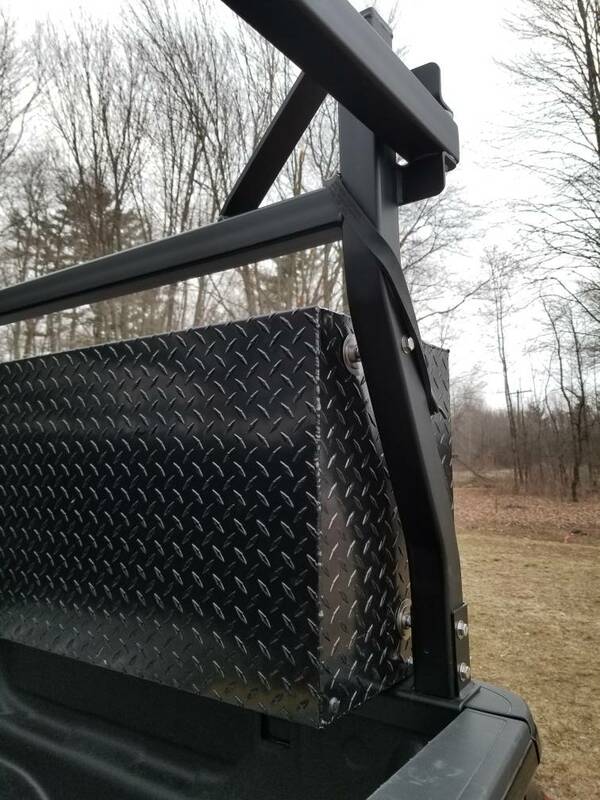 Rack-it rack and two Weather Guard boxes installed without any bolting through the truck bed or rails. Most of the rack hardware has been swapped out with stainless. I drilled one hole through each of the four rack uprights (upper area), and used each existing lower hole, to bolt the boxes on. In total, each box has 6 bolts, 2 per upright, and 2 through the bottom incorporating the rail fastening system. They are extremely sturdy. I am very happy with how it all came together. Last edited by META; 04-04-2019 at 07:03 PM. 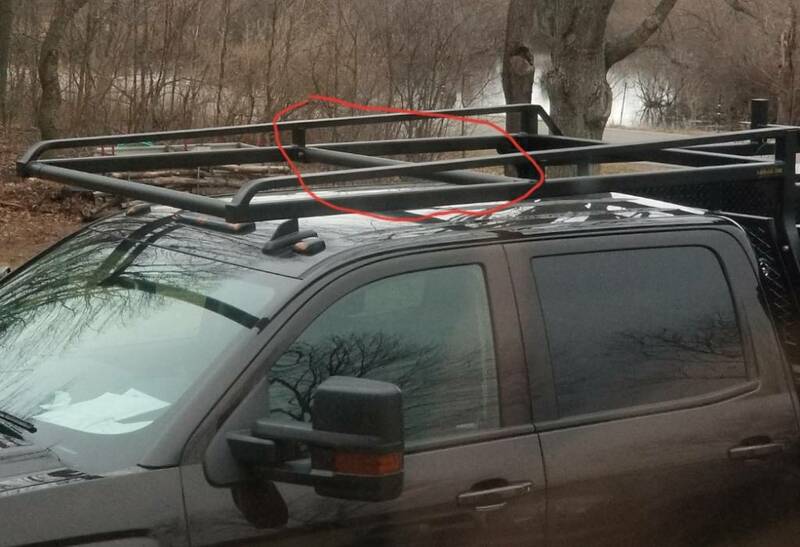 The rack did not come with a cross member for over the cab area so I cut a piece of galvanized pipe, painted it black and bolted it in. Rack-it would send an additional powder coated steel bar, but charge $99 shipped to me. I may put some protection over the upper portions of each cross member being its only a matter of time the powder coating wears off and rust begins. I bought the extra cross member. Sweet ride , I’d be scared to take it on a job site . With the weight I haul I was too concerned to not bolt to the bed. I made the plunge. Beautiful rig META. I may have had I known it wouldn't come with it. 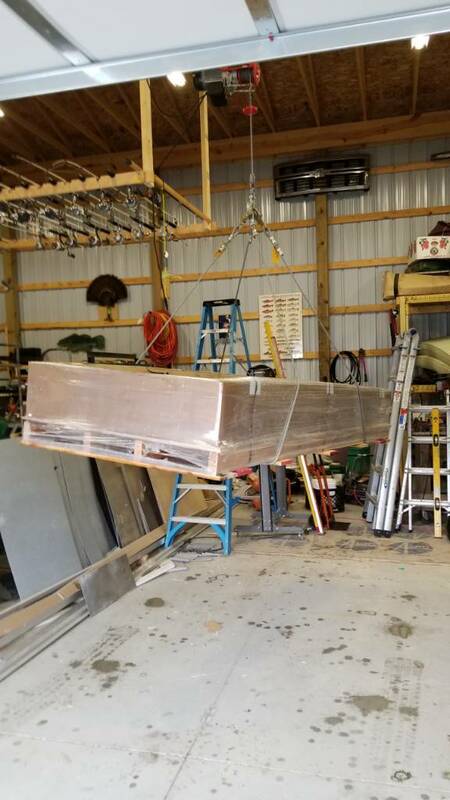 Yup, I had another custom aluminum rack made last year, and had him put two cross members over the cab. I think they ended up about 24'' apart. Can throw rebar up there now and not worry about scratching the roof when you slide it off. BTW, how are those steps holding up so far? The steps are doing fine although I should double check the bolts soon. Last edited by A&E Exteriors; 04-04-2019 at 08:22 PM. You sell your old rack and boxes yet? No, I still have them and the truck for sale.